Your cheeks have jowls. Your chin has marionette lines. Your face is… drooping! 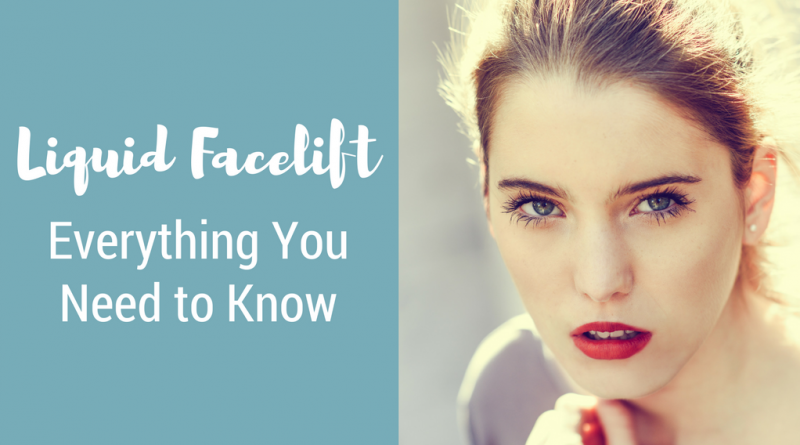 Does this mean you need a facelift? Has the time really come for you to get a facelift? Expensive, traditional facelifts alone could be a big mistake for your type of face. Tightly pulled skin stretched over cheekbones doesn’t just look unnatural and plastic surgery-ized; it looks old! In many cases women and their plastic surgeons are missing the boat. Or really, they are missing the fat. What is lacking is the “volume” of youth, which gives the face its youthful smooth look. 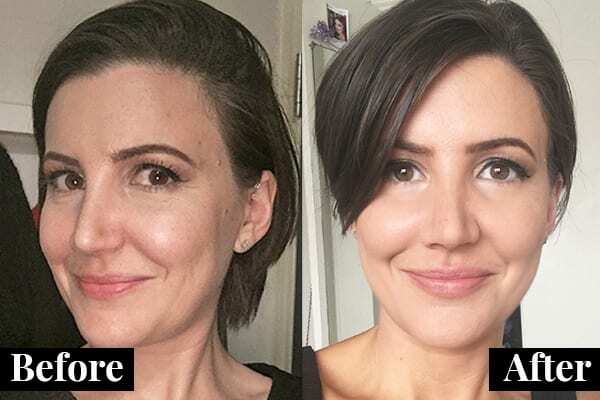 Look at your old photos and notice: the cheeks are rounded; the temples are flat, not hollowed; the under eye area are not sunken and hollow; and the jaw line is full and smooth. These are important indicators of a youthful face. When this fat is gone, the face sags, and no matter how tightly the skin is pulled in a facelift, your face will not recover its youthfulness. A surgical facelift can remove excess skin, tighten drooping muscles, and can remove excess fat under the eyes and chin/neck, all fine for a more advanced aged face. 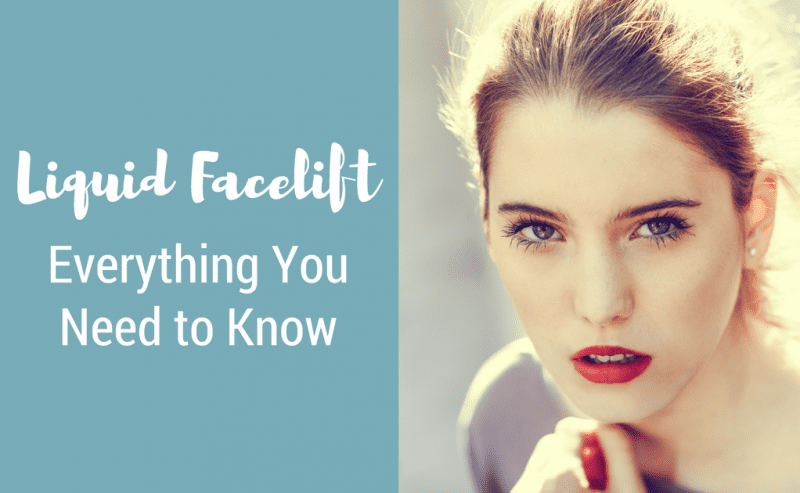 However, a liquid facelift (accomplished with facial fillers) may be the ideal procedure as the first option for a face that does not have much redundant skin. With little to no downtime, youthful contours can be returned to the face and is amazingly effective. The liquid can be done after a surgical facelift for a more aged face. 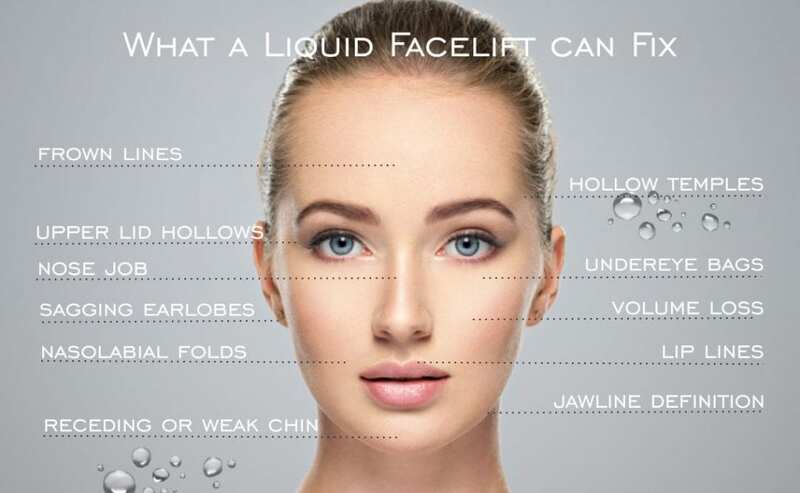 So what is the liquid facelift? It is the injection of fillers into the face to restore the contour of youth. In fact, many signs of aging – for example, jowls, downturned lips, hollowed eyes, and overly visible bony contours (aka “skull face”) – can be largely reversed and greatly improved. A variety of products can be used, from hyaluronic acids, like Juvederm™ and Restylane®, to Radiesse®, to Sculptra™, which lasts years longer than the other products and builds your own collagen over time. 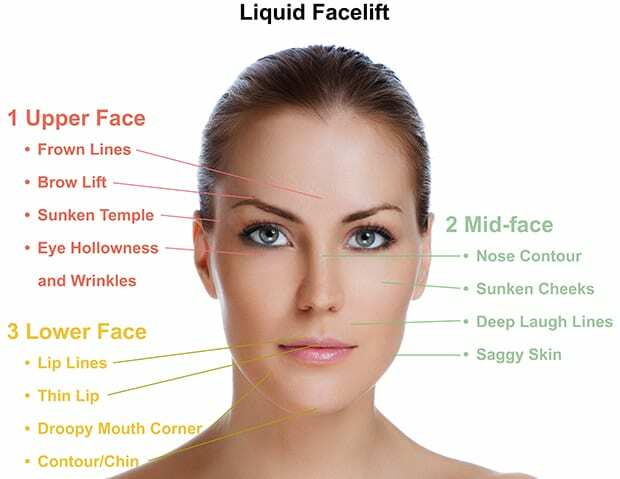 So how does the liquid facelift work? Typically the product is injected in several sessions, so that the change is gradual. The best candidates are men and women without much fat on their faces that have facial sinking and sagging. 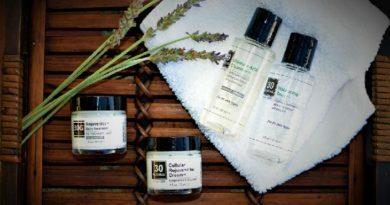 If Sculptra™ is used, the product costs about $800 per session (depending on how much product is used) and usually takes about three sessions for the best results.